Just when you thought you’d heard every crazy diet trend, it’s now been alleged that Mariah Carey is following a ‘Purple Food Diet’, – eating only purple foods for three days each week to shift her baby weight. 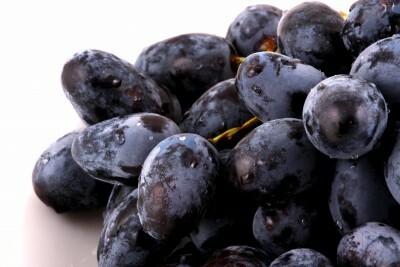 A source tells us that her favourite purple picks are plums, grapes and eggplant, and that she has already lost 10 pounds! The validity of this report is open to speculation (after all, I got most of my information from gossipcop.com! ); however, as ridiculous as the diet may seem, Mariah’s team of ‘nutritionists’ may be onto something. Gorging yourself on purple-hued foods is unlikely to result in sustained weight loss, and as a rule I would steer clear from a rigid structure of certain foods on certain days, however increasing your consumption of purple pigmented foods is not as crazy as it seems. Fruits and vegetables such as cherries, blueberries, blackberries, red grapes, red onions and beetroot contain high levels of the pigments Anthocyanin and Resveratrol. These pigments have earned many foods a ‘super’ title in the last decade, as they boast an antioxidant effect, along with a host of other potential benefits. Generally the darker in colour, the more concentrated pigment, which explains the theory that in small amounts red wine can be beneficial for the heart. Although there is limited concrete information pertaining to the health benefits of these pigments, their antioxidant, anti-inflammatory effect has been said to decrease risk of cancers, as well as hypertension and heart disease. Mariah may also be pleased to know that the antioxidant effect stabilises oxidative stress, or damage of cells. Uninterrupted, this oxidative stress can lead to the development of many lifestyle related illnesses and premature ageing. One randomised, double-blind, placebo controlled study conducted on a group of 120 middle-aged participants found that supplementation with anthocyanins led to a decrease in the harmful LDL cholesterol, and an increase in the healthy HDL cholesterol. These results indicate that anthocyanins may be capable of reducing the risk of cardiovascular disease. 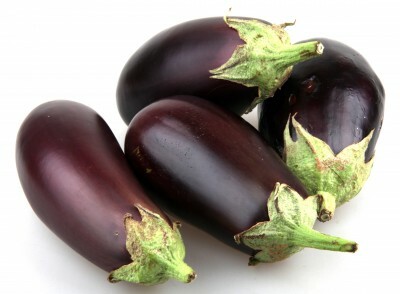 Of course, purple food isn’t unique in delivering such benefits. The Heart Foundation recommends consuming two serves of fruit a day, and has acknowledged that increasing fruit and veg intake is linked with a reduced risk of cardiovascular disease and strokes. Taking on this crazy diet may help with temporary weight loss. Restricting both your overall amount of food and cutting out food groups is sure to do that – however, it’s highly unlikely this is a long-term solution. It’s fairly obvious that, after returning to normal eating patterns, any lost weight will likely be regained – and unless you carry over healthier habits into your regular diet, you’re not likely to have achieved much in the long run. So if it’s long-term weight loss you need, the purple food diet may not be the miracle you’re after. However, including purple hued foods in your diet is a great way to boost your antioxidant levels, as well as those of other vitamins, minerals and fibre. My number one tip is to try eating a ‘rainbow’ of foods. By doing so, particularly if you’re eating colourful fruits and vegetables in place of processed cakes, biscuits and chips, you’ll ensure an abundance of nutrients that will positively impact your health. I’m ditching sugar! Confessions of an addict.